This is a good example of a log jamb that has developed due to a man made struture. 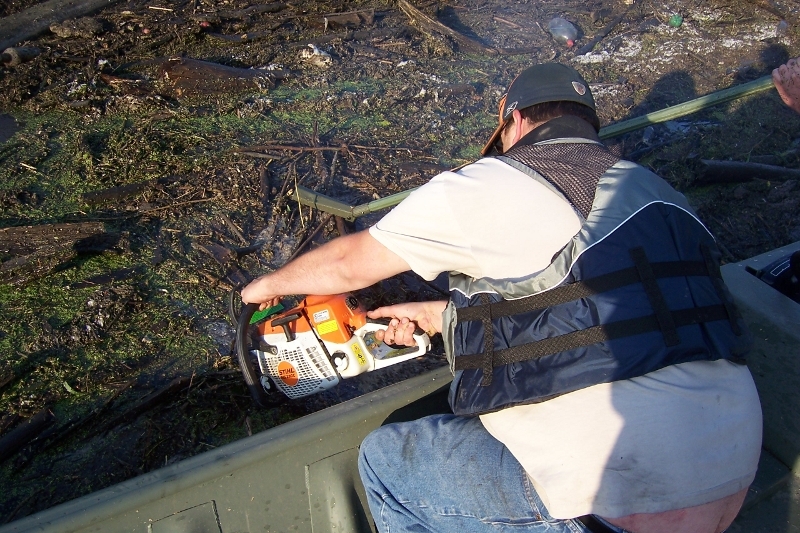 Proper removal will prevent the log jamb from holding back water and/or growing larger. 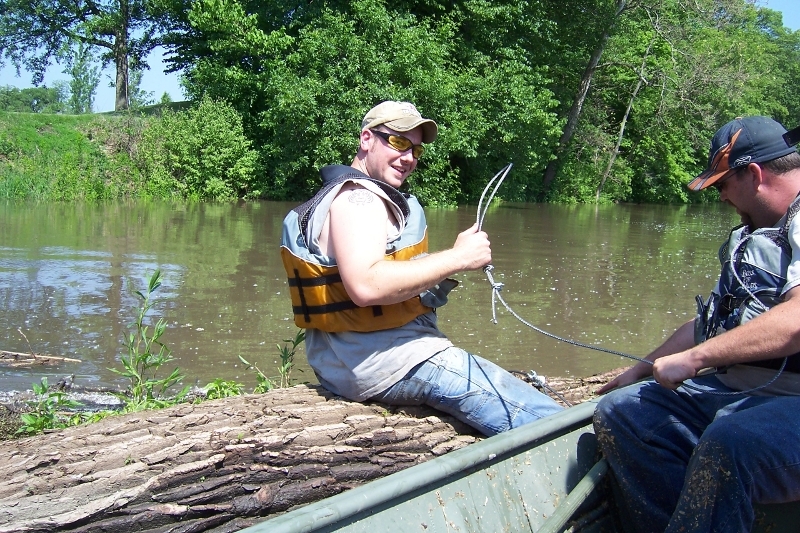 Time for the Friends of the Iroquois River go to work on the log jamb. 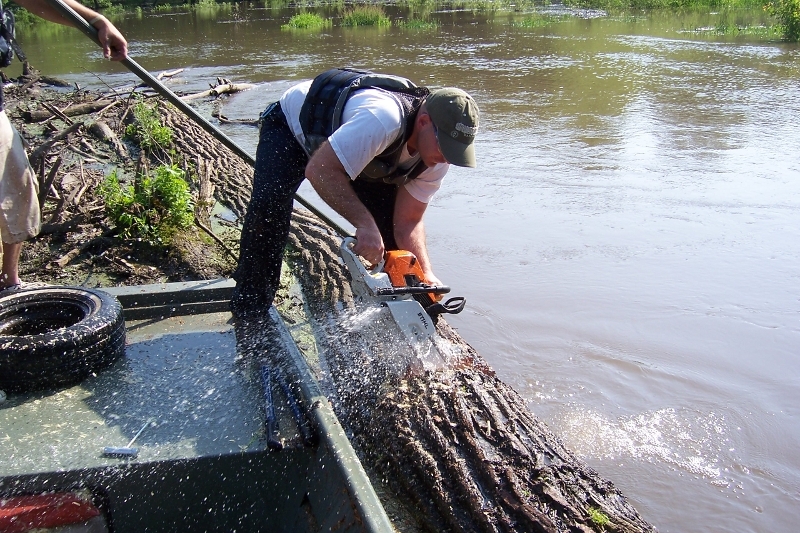 First we start by cutting the bigger logs into smaller pieces so that they are easier to handle. This must be done very strategically in order to not release the whole jamb all at once. 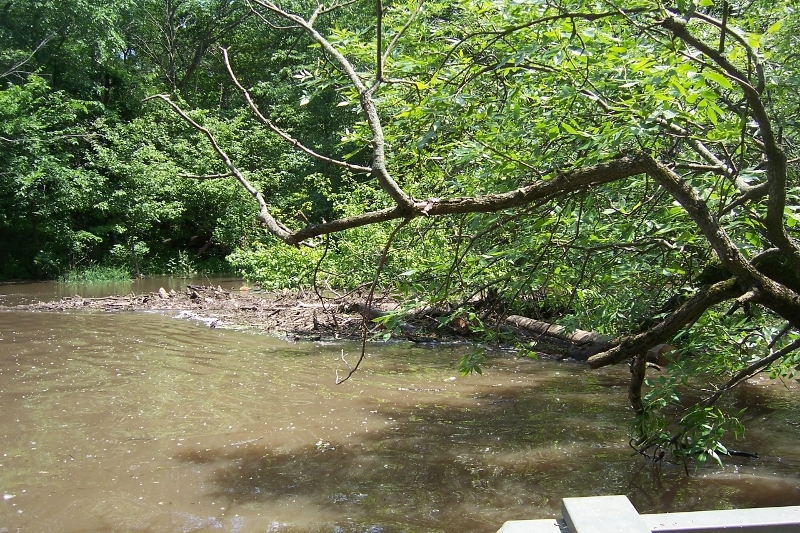 We start on the upstream side where there is the least amount of pressure against the surrounding structure. 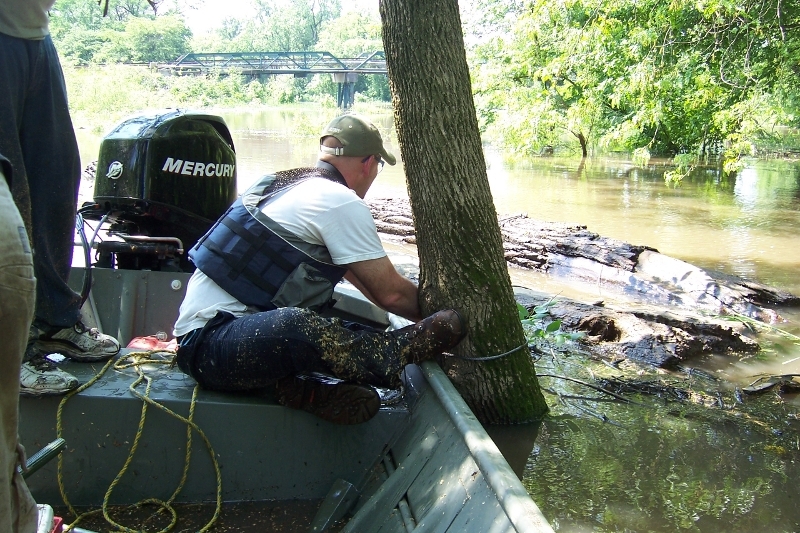 We tow the large logs up to the banks where they are cabled to younger, solid trees. 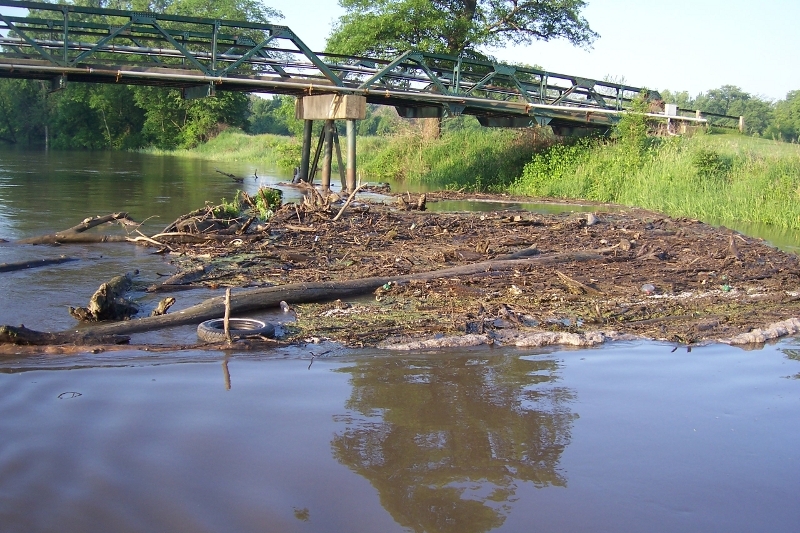 There they will continue to be available for wildlife and habitat development in the surrounding ecosystem. 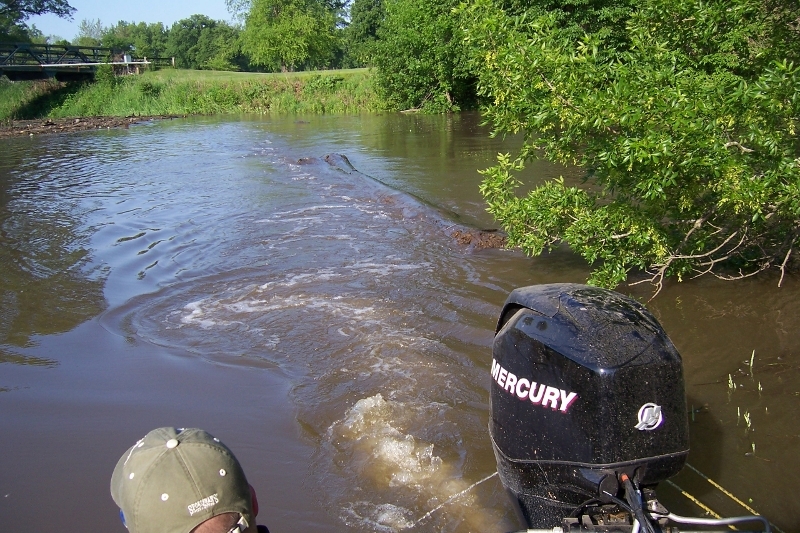 We do all of this per guidance from the Department of Natural Resources. 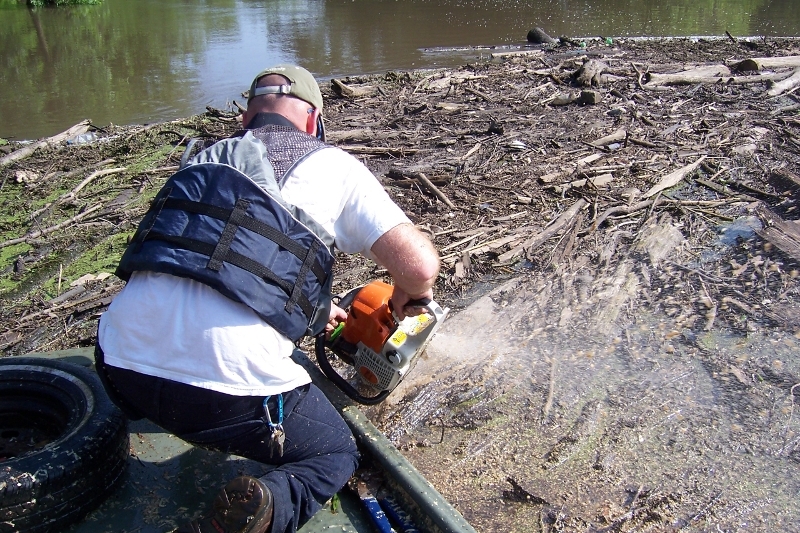 Strong cable and cable ties are used in order to make sure that the large logs do not enter back into the main river. We continue to cut... and cable... and cut... and cable. Finally the log jamb has been cleared. 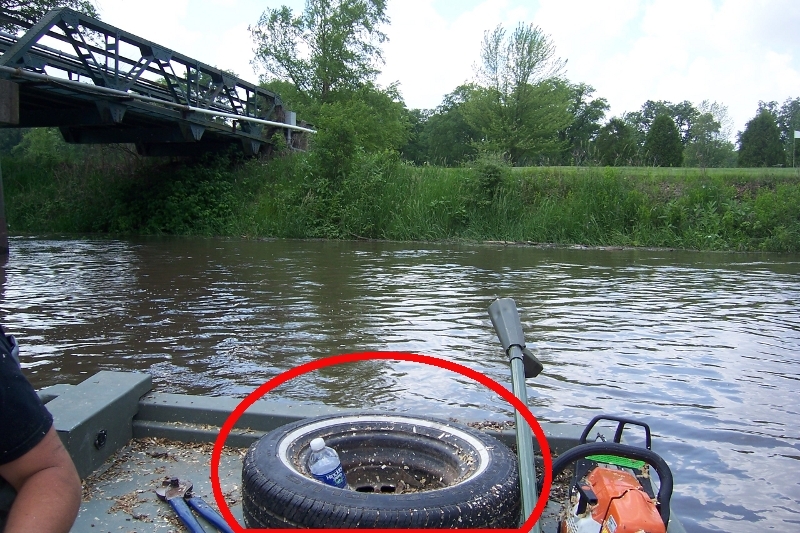 Notice what we have NOT left in the river...a tire and some other trash. Here is another jamb that is in the early developement stage. 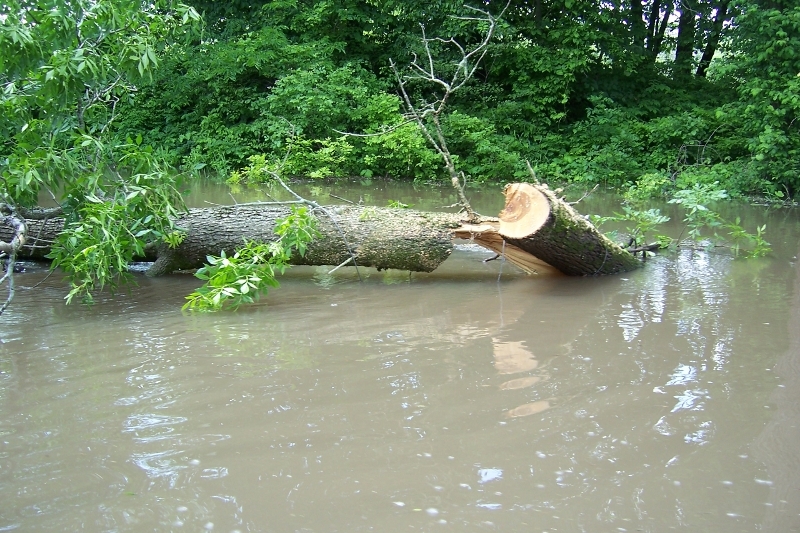 It has been caused by a tree that fell into the river. It is a great tree for wildlife developement and we do not want to remove it. We just want to keep it from causing a larger log jamb. 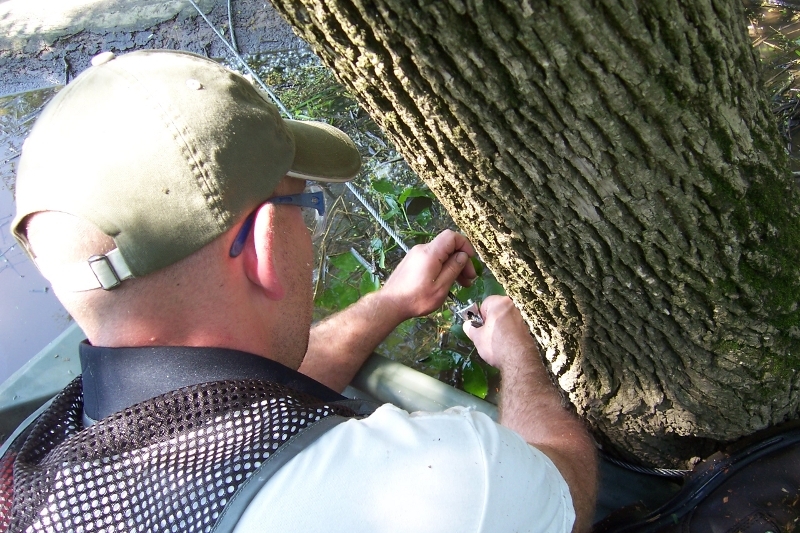 A "Hinge Cut" is a good way to keep the tree as a contributing member of the ecosystem without causing blockage. 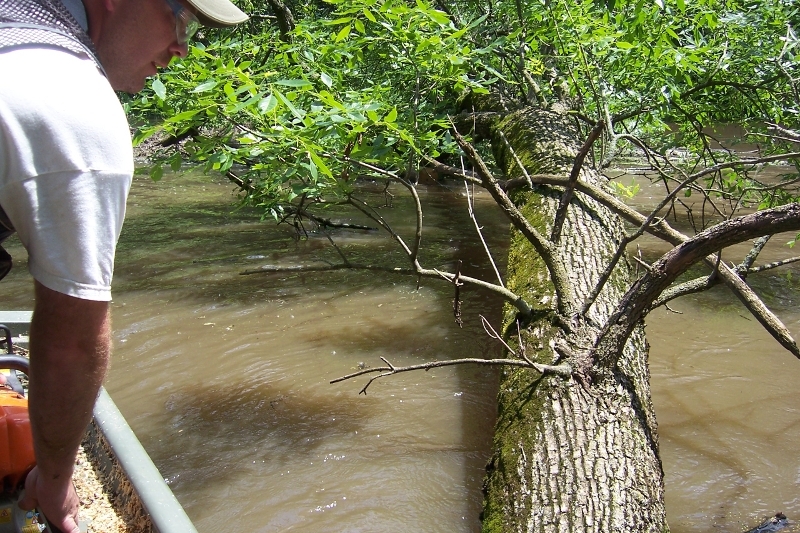 The tree is cut, cabled and now will "hinge" downstream. 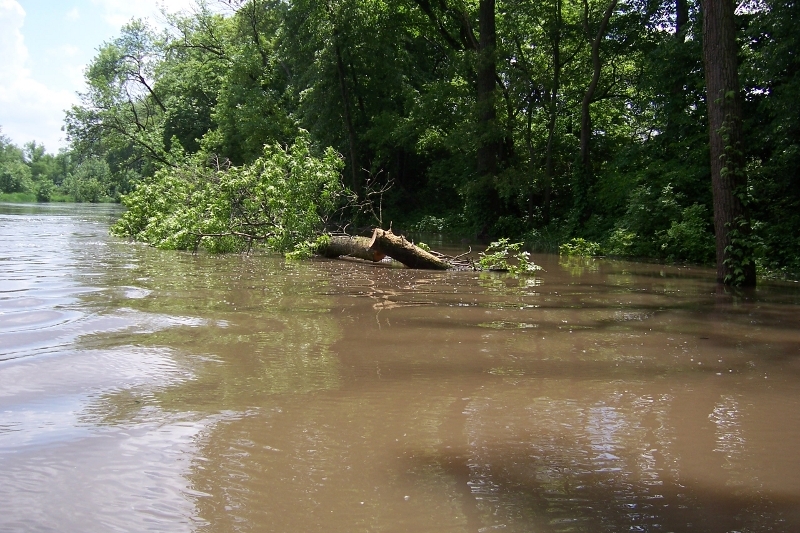 This tree will now remain along the bank, still allowing the river to flow and providing an excellent future home for river wildlife. All this is done per the Department of Natural Resources.